Guy Fierens a Masters student at the University of Antwerp in Belgium, has created a very unique robotic hand which is capable of translating sign language. 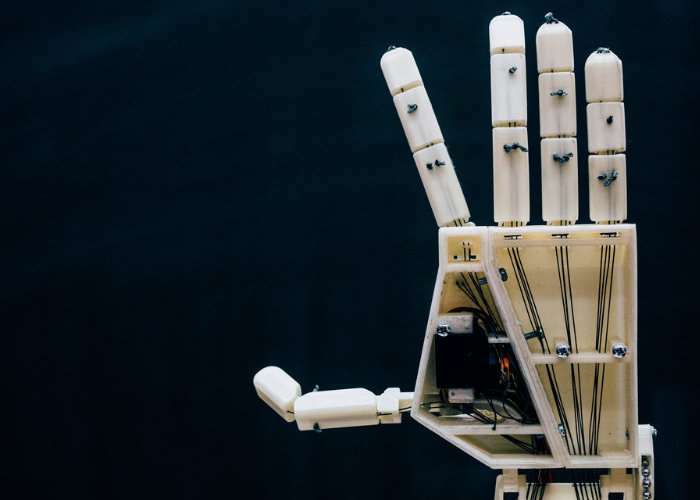 Watch the videos below to learn more about the Aslan, or rather the Antwerp’s Sign Language Actuating Node robotic hand project, which is capable of translating text into finger-spelled letters and numbers. The system works by receiving information from the local network and checks for updated sign languages from all around the world. Users connected to the network can send messages which then activate the hand, elbow or finger joints to transmit the message. Although just a single arm at the current time the project will hopefully be continued by future masters students. For more information jump over to the projects official website via the link below.